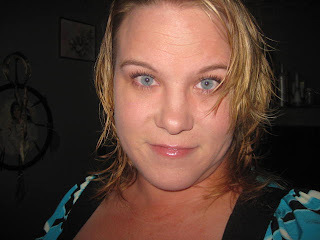 I recently got to try out a Pur Mineral Mineral Makeup Starter Kit from Pur Minerals. Pür Minerals products contain the finest micronized minerals that give you excellent coverage yet look and feel as if they are part of your skin. Our products contain no harsh chemical dyes, just pure pigments from minerals. There is also no fragrance to irritate, no talc to dry or dull skin, no oil to clog pores and no fillers to take up space. We have even taken our minerals one step further by adding Shea Butter and Vitamin E to bind them together. 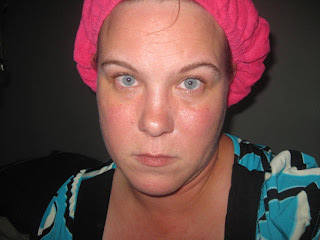 You get the fantastic "good for your skin" benefits without any of the traditional mineral mess. They carry all kinds of different products, from Foundations to brushes and everything in between! I've never gotten to try Mineral Makeup before so I was excited! As you can see in the above photo, my skintone is uneven and I have alot of red in my cheeks. The only thing I didn't like is that I looked a little pale after applying the makeup, but I was able to fix it later. I think I selected the wrong kit! It's hard to select your makeup if you don't know undertones and those always stump me! 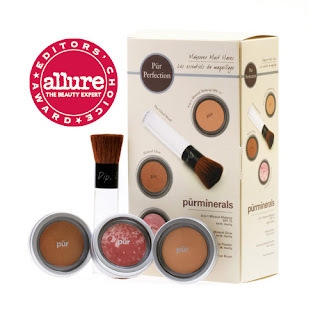 All in all, I love the coverage and feel of Pur Minerals Mineral Makeup. I can't wait to get some more! It feels great and doesn't weigh down your skin, which is a HUGE plus! I would recommend Pur Minerals makeup to anyone who wants to look gorgeous without emphasizing those fine lines and wrinkles as well as those blemishes! This stuff covers like you wouldn't believe! While you're here, stop by the Pur Minerals Blog. You can also find them on Facebook here. 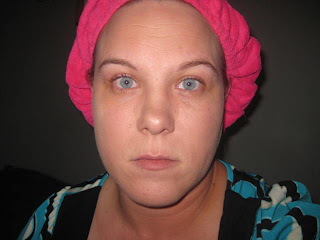 Thanks to PurMinerals for this review opportunity! I was looking for this product, safe for the skin, natural pruduct, vitamin E is good for the skin.